This article demonstrates how to setup up a Web API service which supports default batching as well as a custom Protobuf batch handler. Protobuf is used because it is the fastest and best serialization library which exists for .NET applications. CRUD operations are supported. Batching can be used to send multiple requests in a single batch request. This saves HTTP traffic and can be used efficiently for a data synchronization systems. First a simple batch service is setup using the DefaultHttpBatchHandler class. This works as described in the ASP.NET helps. To use it, just configure it in the Routes in the web API config. The client can then create a mulitpart request. The ProtobufModelDto is used for the service. Protobuf is not required for the above example as it uses JSON for the serialization. If JSON serialization is used, the Protobuf attributes can be removed. 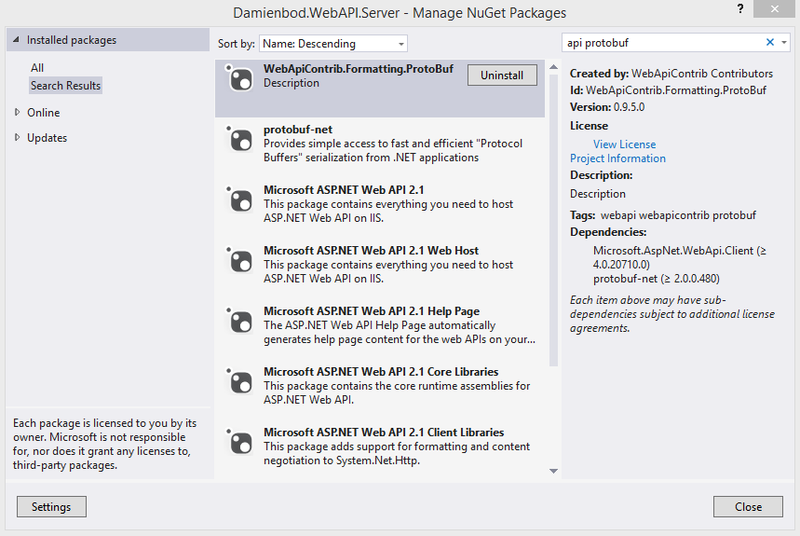 To use Protobuf for the batch service, add the webcontrib Protobuf NuGet package to the project. The custom batch handler for Protobuf inherits from HttpBatchHandler. This is changed so Protobuf is used for the serialization. This custom batch handler accepts multipart/protobuf content. Once the custom Protobuf batch handler has been created and added to the project, it can be configured in the global settings. The Protobuf batch client code can send GET, POST, DELETE or PUT. These are serialized using Protobuf, sent in a single request, executed on the server and returned to the client, again using Protobuf. Now that the batch service is working for all CRUD operations, a data synchronization system can be built on top of this.